My name is Danny Boy and I am about 8 or 9 lbs. I am a super sweetheart, looking to spend my golden years in comfort and well loved! 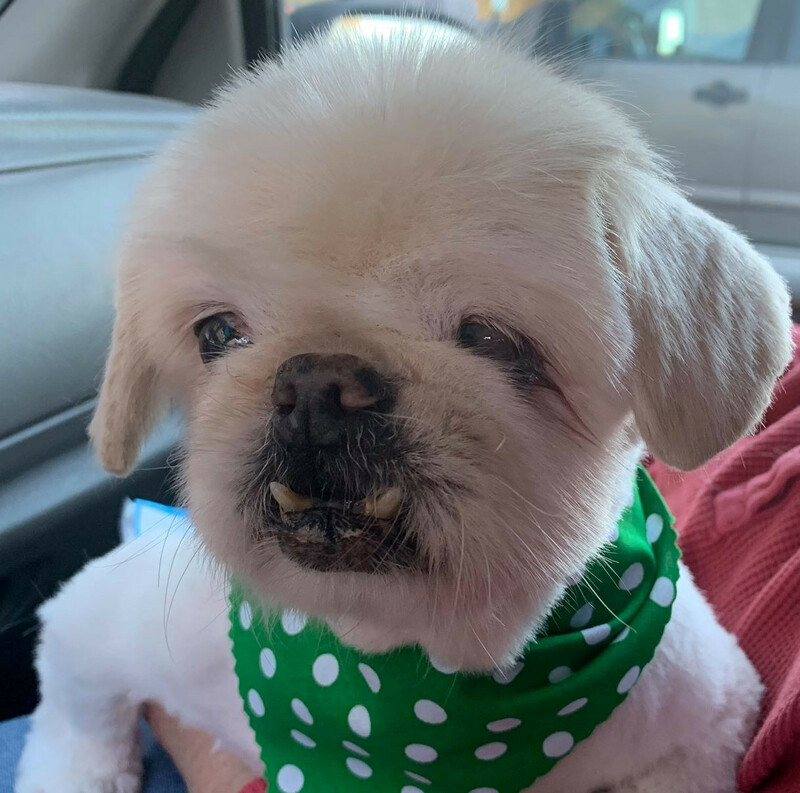 When I arrived at AZ Pug Life I was pretty shaggy, having spent some time wandering the streets, so I got a new look - a puppy cut, and now I am super handsome. My front legs are bowed, but those short little legs can move when I am motivated! Lately, I have even been going upstairs! I am blind in my left eye, and should have drops for comfort in both eyes. I hear loud claps, but not much else, so I am able to sleep pretty soundly. Which is what I like to do anyway, at this point in my life! It's all about getting some res and relaxation. I get along with the pugs in the home, and ignore the cats. I do tend to take over the middle of any dog bed, so other dogs have to maneuver around me when they want to share the bed. Hey, first come first serve! LOL! When I want to come up on the couch with my foster parents I will "ask" to be lifted onto the couch in the evening, and will cuddle for a while, then after a bit I want to go find a nearby bed where I can spread out and still be a part of whatever is going on. 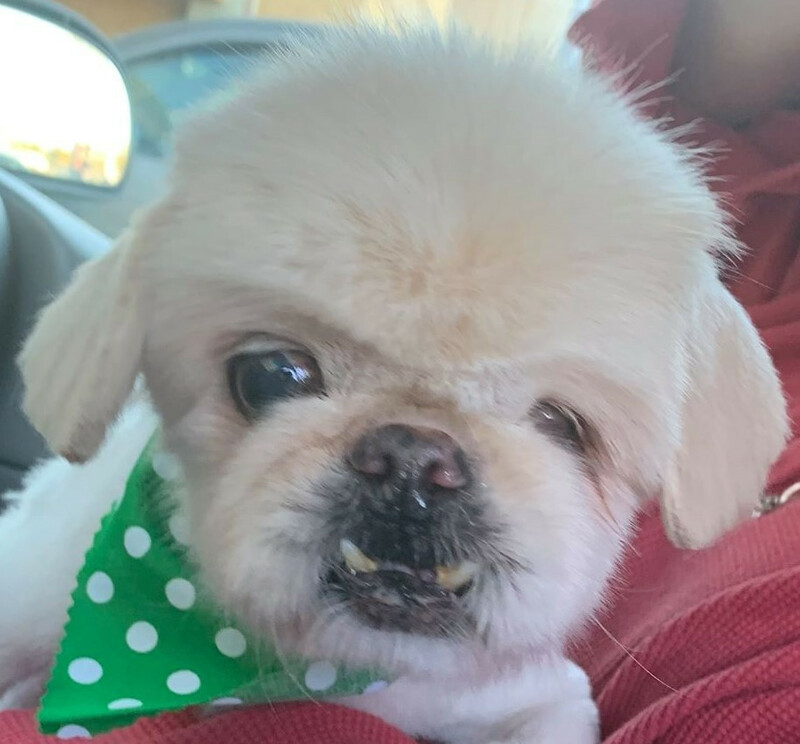 My foster mom says "Danny is a lovely little senior boy, ready to find the family who will love him forever."